Many of us, when we plan our exchange, the first thing that we consider after the celebration of being accepted in the university we were applying to is start thinking… Now where I am going to live? In my personal case, I came here as a degree student so my staying in this country and this city was a little bit longer than an exchange which normally is one or two semesters, thus, I was terrified that I don’t get a proper accommodation where I could happily install myself, feel comfortable and call home from now on until the end of my studies or so. I may have been in a slightly advantage situation than you guys, you may ask why...? I was already familiar with the country and the city of Oulu since I made a prior exchange to the Oulu University some years back, so, I knew where to go directly but we could always face some probabilities to find, or not, proper accommodation - I do know that by experience! But please, do not enter in panic mode by reading this! On the contrary, feel happy that I can somehow guide you and help you to have some information prior your arrival to Finland, and to Oulu, and plausibly find an accommodation near the location you are looking for. - Shared apartment or single room accommodation (for girls only or boys only). There are many other realtors and agencies that provide same services than the ones mentioned above but they are mainly offering their services and search engines in Finnish which make the search a bit more challenging than it should but is worth a while. 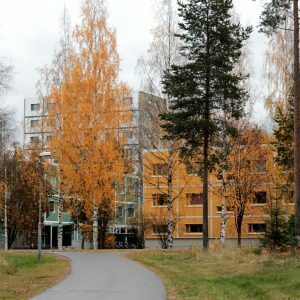 There are some issues to take in consideration when you decided to rent an apartment in the private market, or from Psoas, like find the right place for the apartment that somehow is in an area nearby the study place you are attending and where you will feel comfortable along the different seasons Oulu face -check more about this in another post. The conditions of the rental sites differ from one to another so please read carefully the instructions and fulfill all the requirements they ask you to have at the time you sign the agreement. The rental of any type of apartment always request you a warranty or deposit which equals to one or two months of rent payment in advance or a fixed amount that the company or realtor will let you know. Some of the apartments have separate electricity and water bill and other extra costs, that apply independently of the monthly payment, so be aware to ask all the information you need before you make the final decision. Is important to be aware that mostly all types of apartments or rooms may be completely empty at the time of your arrival so take in consideration that you may need to buy some basic furniture like bed, desk, chairs and other items you may need in your stay in Oulu -especially if you are a degree student. Some realtors may provide basic items with an extra cost but it doesn’t apply in the private market unless is mentioned clearly. Keep on searching until you find your perfect accommodation!